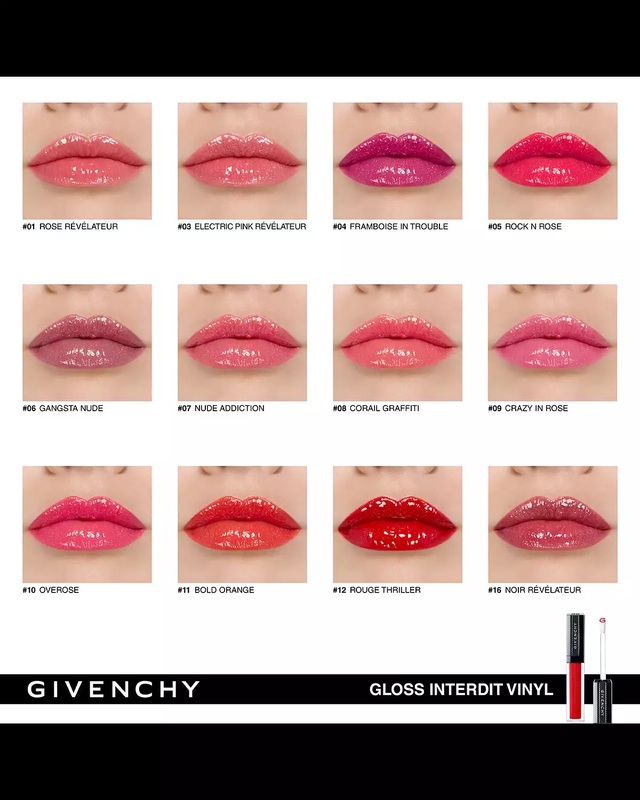 Givenchy has introduced their new Givenchy Gloss Interdit Vinyl, a sparkling new lip color available in an array of 12 luminous shades! 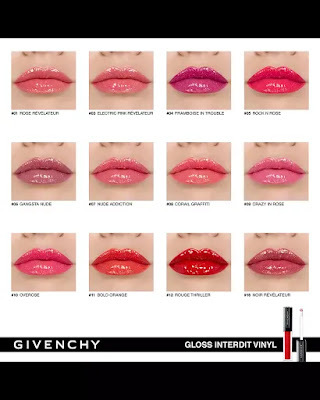 The famous upscale brand extends its L’Interdit range to include the Gloss Interdit Vinyl, which is said to be created for women whose lips speak only of boldness. Designed to help unleash what Givenchy calls “forbidden shine,” the main protagonist of the next chapter in the Interdit story provides brilliant transparency combined with a high-impact sparkle. 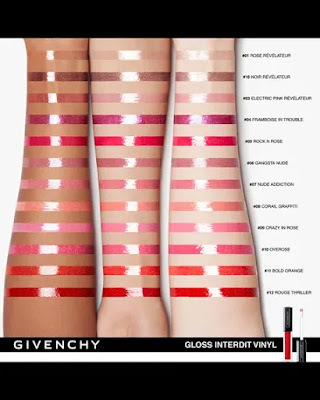 The Gloss Interdit Vinyl is actually a reformulation hybrid of Givenchy’s best-selling Gloss Revelateur and Gelée D’Interdit lip glosses. 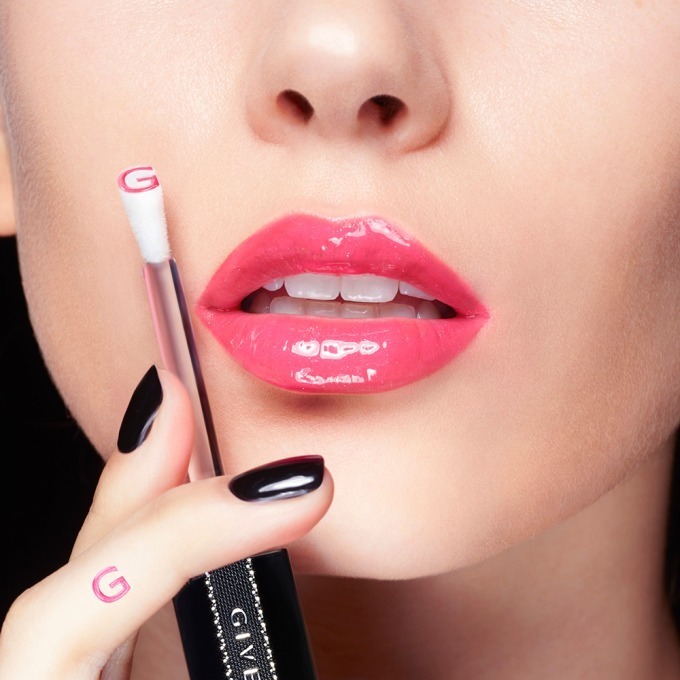 The medium-coverage gloss delivers a vibrant color combined with a vinyl-like shine. 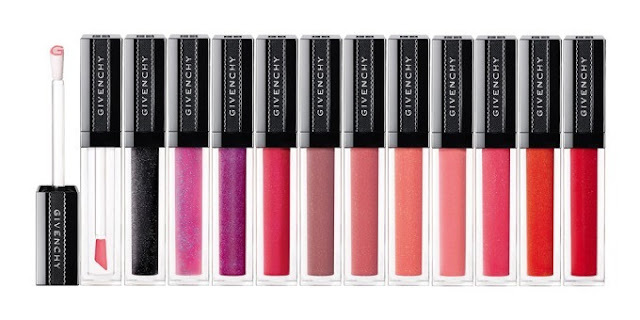 The lip-loving formula is also infused with black rose oil, Givenchy’s signature active ingredient that delivers extreme hydration and comfort to the lips for hours. A blend of mother of pearl particles and special polymers creates dazzling shine, while Absolute Color Complex improves vibrancy and purity of the color. 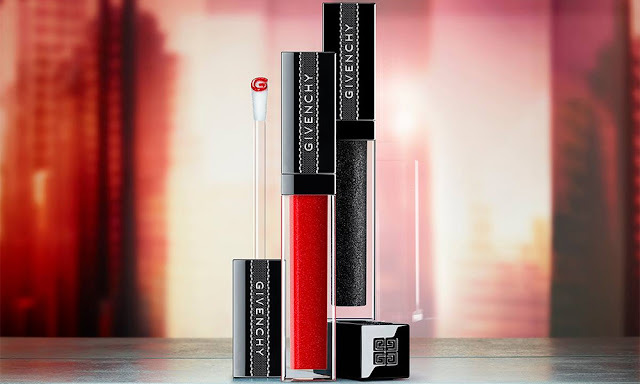 The Gloss Interdit Vinyl is presented in a see-through tube with the emblematic black lacquered lid. It features an original foam applicator stamped with a letter G. The wand is designed to pick up just the right amount of color and dispense it quickly and evenly over the lips. With 12 shades to choose from, Givenchy Gloss Interdit Vinyl can be worn alone or on top of your favorite lipstick. The range includes three transformative, color-adapting shades, that look different on every skin tone. For example, the apparently clear shade, 01 Rose Révélateur, reacts with your lips’ pH levels, transforming into a fresh, rosy hue. A rich black shade, 16 - Noir Révélateur, is another shade-shifter that creates a made-to-measure berry hue that beautifully enhances your lips.